Why Was YHVH Replaced by LORD? Do You Recognize The Eternal Name of Our Creator? How can we recognize the references to our Creator’s Eternal Name when it has been removed from every translation? It’s no secret, if you don’t find it noted in the preface of your Bible, you can verify it on google; the original Hebrew Name, YHVH has been replaced by LORD. YHVH means, He Is, Was and Always Will Be or Exist. As difficult as it may be to find an equivalent translation describing Eternal or Spiritual, we all know it’s not LORD. That is why I cross out the LORD and restore the original Name, YHVH #3069. Over 1,700 Hebrew Documents Have Been Discovered with all three Vowel Markers, yet, surprisingly the debate about the correct pronunciation continues. Prior to January 2018, nobody really had enough evidence to stand on, and the majority usually pronounced YHVH, Yahweh or Jehovah. Nehemia Gordon’s research forever changed my preference of pronouncing His Name by its Hebrew letters; Yod Hay Vav Hay. The first time he found all three vowel markers, the “e” “o” “a” in Yehovah, he set out to look for just enough to confirm the pronunciation many Hebrew speakers already knew. He had no idea he was about to uncover so much consistent evidence, found in so many Hebrew manuscripts, from library’s all around the world. Normally that much evidence would be indisputable but the scribes were known to leave out at least one vowel marker, and even add the wrong vowel, marker just to throw people off. You won’t find the tradition of not speaking or writing the ineffable Name of God, in order to keep it from being Blasphemed/Insulted, anywhere in the Torah and Prophets. It stems from an ancient Babylonian superstition. This fear that the Name will be defiled has caused it to become vain/unknown. The Hebrew word Shav #7723, means to make unknown, nothing, worthless, empty, false, deceit. Although Judah adapted several Babylonian customs during their 70 year captivity in ancient Babylon, 586-716 B.C. 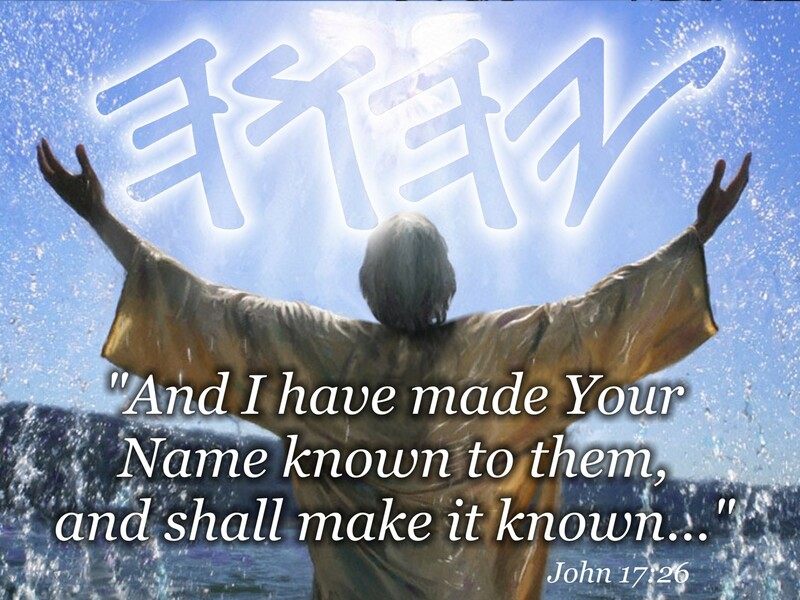 Not pronouncing the Name went directly against YHVH’s instructions to Make His Name Known. YHVH is written in the Hebrew Scriptures 6,830 times. 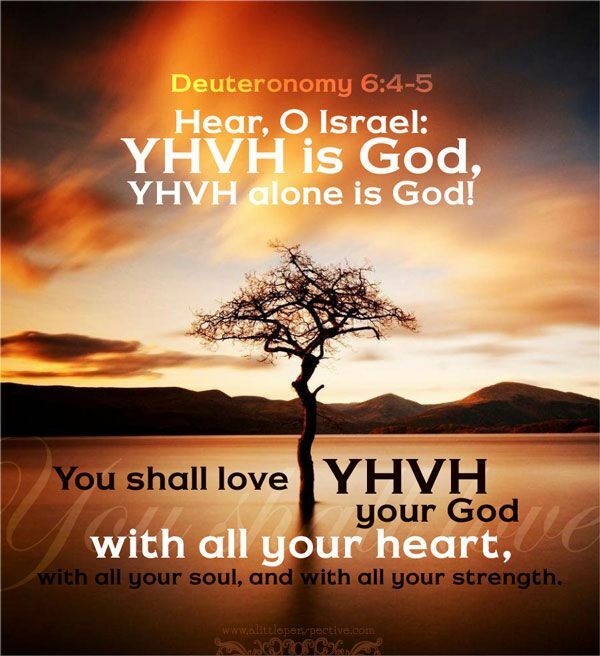 When people, like me, learn their translations have removed “YHVH” and added “LORD,” they will begin to restore and proclaim Yehovah in all the earth. Jesus and Joshua are one and the same name. Both are the Hebrew name Yehoshua, meaning, “YHVH Is Salvation.” YHVH Is our Creator’s Eternal Name, Exodus 3:15. John 17:21 that All may be One, as You, Father, are in Me, and I in You, that they also may be in Us, that the world may believe that You sent Me. Like every translation, when an equivalent word does not exist in another language they transliterate the original word. For instance, Joshua is the English transliteration for Yehoshua. The important thing is that we recognize the Hebrew names and know their meanings. Most people know Jesus or Yeshua mean Salvation. 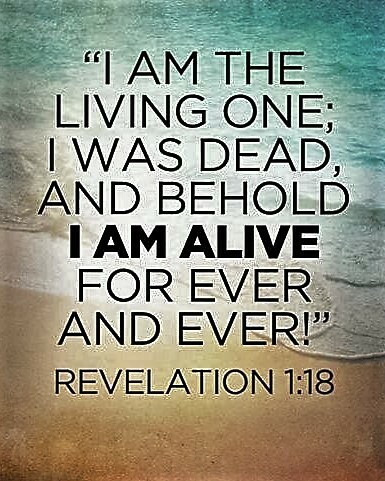 Knowing the full Hebrew Name of Yehoshua just connects and reveals that YHVH Is Salvation. 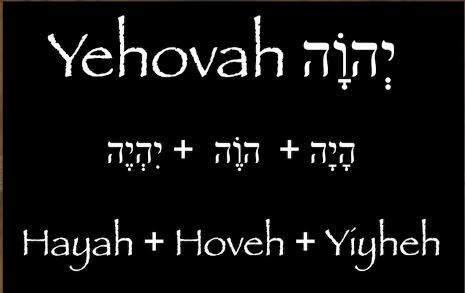 Saying “Jehovah” is an English transliteration of Yehovah. We can confirm the fact that there is no J sound in Hebrew and a google search will also confirm that the letter J didn’t enter the English language until the 1600’s, but to each his own. The same goes for those who already have the habit of saying “Yahweh.” We can trace its invention to Heinrich Friedrich Wilhelm Gesenius (3 February 1786 – 23 October 1842) a German orientalist, Lutheran, and Biblical critic. He is credited, among other things, with the reconstructed pronunciation of the Tetragrammaton, “Yahweh”.